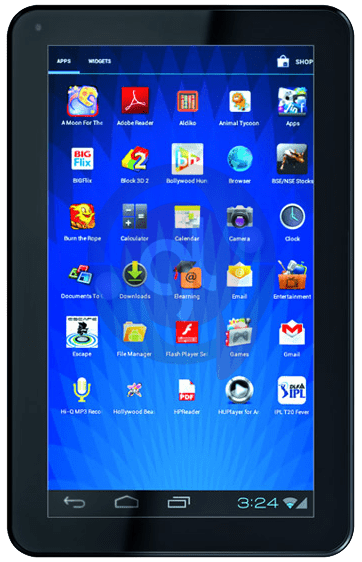 After the grand success of Micromax Funbook 7 inch Android ICS 4.0.3 tablet, here comes the new Micromax Funbook Pro which has something more to offer and that too at the most economic price. The major thing you notice with Micromax Funbook Pro is its 10.1 inch display size, increased RAM of 1GB and more powerful battery backup. Manufacturing cost of those specified 4 point changes isnt really that high where Micomax has priced the new Funbook Pro tablet to go at 9999 INR in our view. 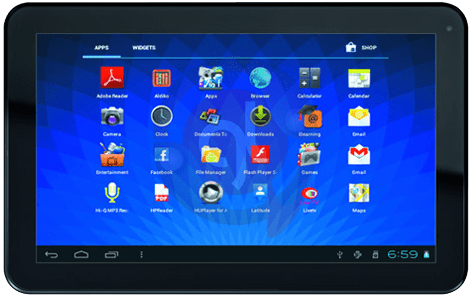 The previous release of Funbook P300 is available at Rs 6499 and people who already own the previous 7 inch tablet, isnt quite impressed with the changes in the new Funbook Pro to feel the urge to get one. The system on a chip (SOC) of both the tablets are same. Providing the latest android 4.1.1 Jelly Bean update would have added a cherry to the new Funbook Pro. Judging over the price factor and the changes over the previous release, we are really not well impressed by this tablet. Otherwise at a glance for people who havent used an Android at this low budget would really love to feel the ultimate experience on it provided with a powerful Dual Mali 400 Graphics processing unit and the power of 1.2 Ghz Cortex A8 processor with added fuel of 1GB DDR3 RAM. So what do you think about this new tablet from Micromax? Is it a worth deal or a Fail release? Do let us know your opinions via comments section below.